Ardbeg Perpetuum Distillery Reserve - having had the regular Perpetuum release on Ardbeg Day, it was good to compare the two. The night itself was unassuming, being hosted at Tokyo Bird, the local yakitory / whisky bar in downtown Sydney. It was a night about the four whiskies and the good company of other Dram Full Sydney members. One should get rather excited when presented with a bottle of Port Charlotte, or Octomore or Bruichladdich for that matter. Over the years, under the helm of recently retired Jim McEwan (who we met back in 2014), different expressions from the three Bruichladdich lines continued to impress drammers. This Port Charlotte 'Valinch' ex-Oloroso expression was no different - though being a DIY bottling range, sadly, one must return to Islay for a refill. So with the malt heavily peated, yes, complex and enjoyable, certainly. Nose: The nose is filled with jamon, yes, Spanish Iberico jamon and caramel ice cream. The sherry and oak carries through on the whiff. Palate: The palate is nice and complex and cask strength big. There's the big douse of peat, cherries, strawberries followed by a briny note and black pepper spices that come out at the end. Finish: Extremely long, peppery with a hint of brine. There's a slight oak in there too. I was excited to taste this special Bowmore and as with the Valinch, I knew that this might have been the only opportunity to taste this particular Bordeaux cask matured expression (unless of course, I make the trip to Islay). The use of a Bordeaux cask reflects the slightly different path this Bowmore takes when compared to its traditional lines. 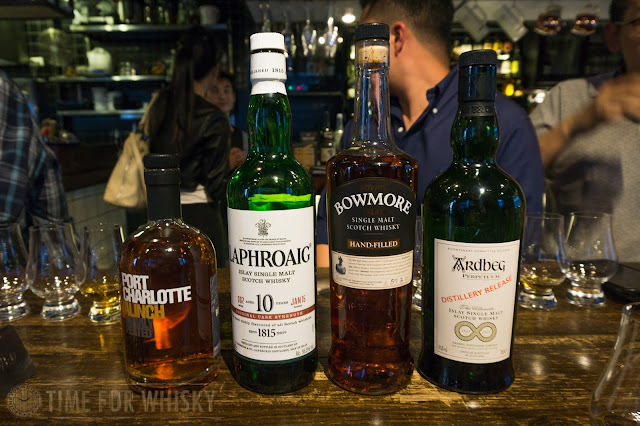 Similar to the recent release of the Mizunara Cask Finish last September (which Martin tasted here), it seems that Bowmore is in the midst of experimenting with different non-traditional casks over the past few years. Palate: The palate carries through the citrus 'tropical' note with plenty of lemon and lime on the first taste before becoming extremely peppery and mellowing out into a sweet cheesecake. I can't seem to pick up the light Bowmore peat, where has it disappeared to?! 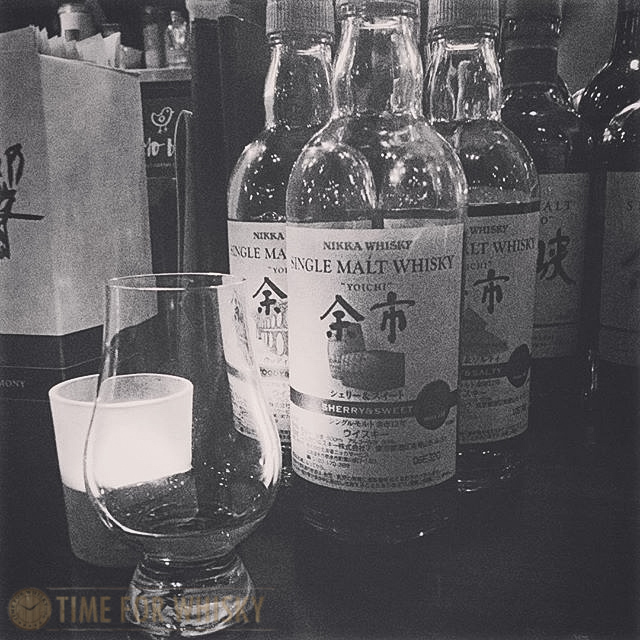 The age of this particular malt may shed some light on the whereabouts of the peat. The palate is exciting nevertheless. Finish: Just like the PC Valinch, the finish on this is extremely long. One of the favourites from Laphroaig's core range - a cask strength play of its highest selling, ever-classic, Laphroaig 10. This was my pick of the four expressions on the night. Nose: There are loads of Laphroaig peat notes on the nose, just like its classic brethren, this Laphroaig stands out as a Laphroaig. The salty, maritime, damp forest woody notes are heavily present on the nose. Though what I also found on the nose were a subtle layer of sweet strawberry and tropical fruits. Palate: The higher ABV hits you quite strongly, followed by the strong maritime notes from the nose that are mixed with the peppery spices. The heavy Laphroaig peat note comes at the end, as combined with a hint of malty vanilla. Finish: Extremely long and the peat smoke, along with the residual spices linger for some time and more. 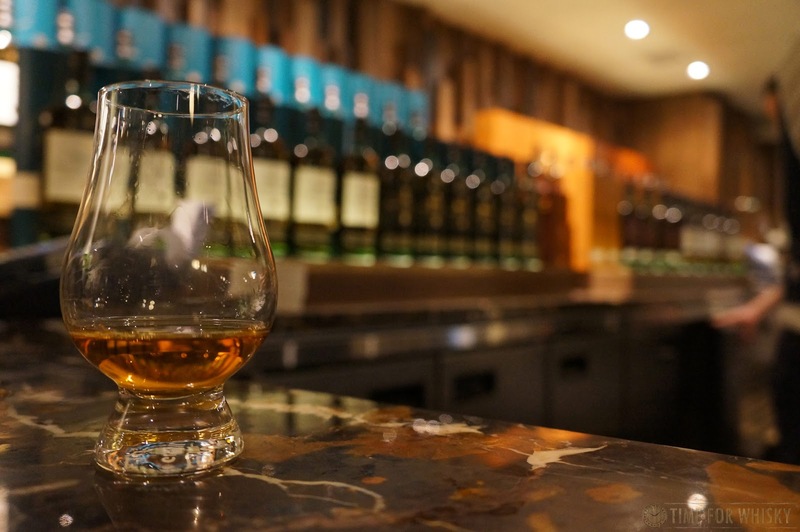 The Distillery Reserve of the Ardbeg Day release which saw a combination of bourbon and sherry cask-matured Ardbeg whiskies bottled at a slightly higher ABV of 49.2% (as opposed to the standard release ABV of 47.4%). As Martin confirmed with Dr Bill himself last year, the whisky in both bottlings is the same, with the exception of the higher ABV in the distillery reserve. 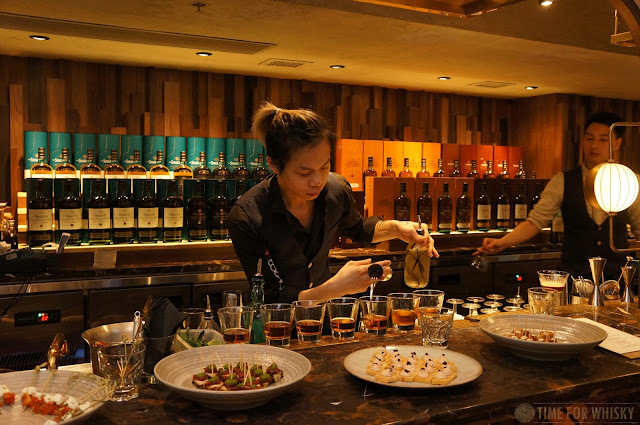 Personally, between the two releases, I found the Distillery Reserve offers slightly more on the nose and on the palate. The longer finish also makes the Distillery Reserve that tad more enjoyable than the standard release. Nose: The nose is familiar to the standard release, with the added peanut brittle followed by hints of wet moss with hints of iodine, sea brine and oh, peat that comes through quite gently. I also noted a touch of wine gum as the peat settles. Palate: The palate on the Distillery Reserve carries a slight sweeter overtone, I get cherries and berries. The touch of vanilla, blends with the sweet notes before opening up to the dark chocolate, brine and the light peat smoke. In comparison with the standard release, I quite like the Distillery Reserve release given the slightly altered and sweeter palate. Finish: The finish is long, I feel that the finish continues on for some time (it might be due to the slightly higher ABV). 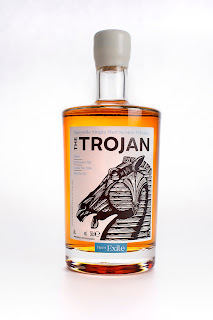 Similar to the standard release, the finish is mouth-coating and sweet with light spices. The night took all of us on a journey through Islay and with all the unique bottles, it was certainly one hell of a night. Thanks to Nicholas for organising. 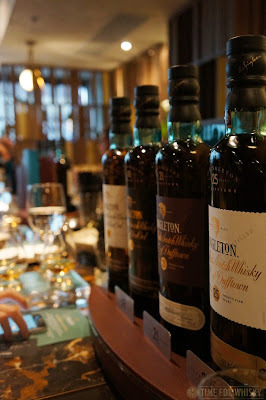 This evening MHDHK introduced two new expressions from The Singleton to Hong Kong - the Sherried 21yo, and the ex-Bourbon cask 25yo, both from the Diageo-owned Dufftown Distillery in (you guessed it) Dufftown, Speyside. 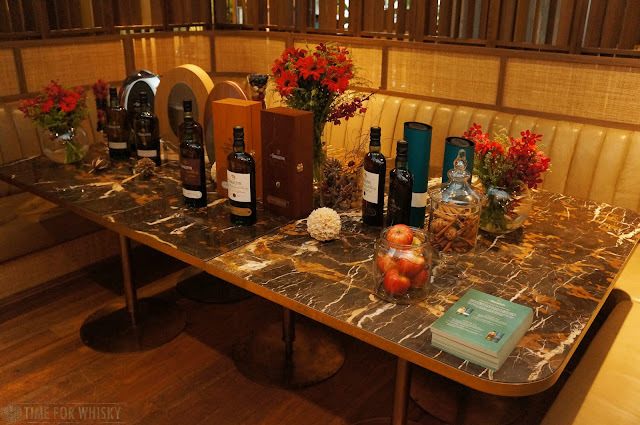 Held at the stunning Paradis in Central, the event included a guided tasting of both the 12 and 18 year old (from the Highlands-based Glen Ord distillery), as well as the new releases. 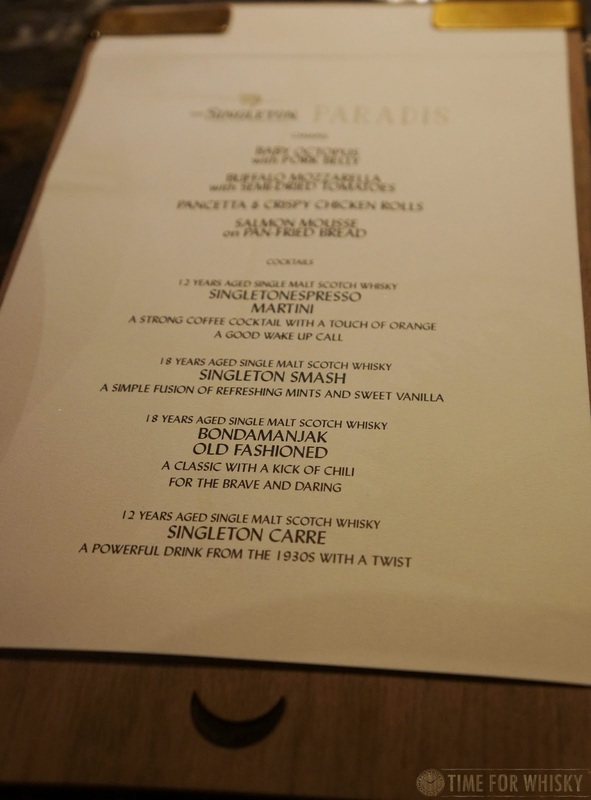 First though were the cocktails, which saw The Singleton taking the place of spirits that are usually something other than whisky, such as the Singleton Espresso Martini (made with The Singleton of Glen Ord 12) and the mojito-esque Singleton Smash (made with The Singleton of Glen Ord 18). Our favourite though was the Singleton Carre, based (we suspect) on the Vieux Carré, swapping out the rye for single malt. A delicious twist, made even more so by the assortment of accompanying canapés. It wasn't long before it was time to take our seats, and hear Marketing Director Drew Mills talk us through the tasting lineup, providing a little more insight into the whiskies we were about to taste. 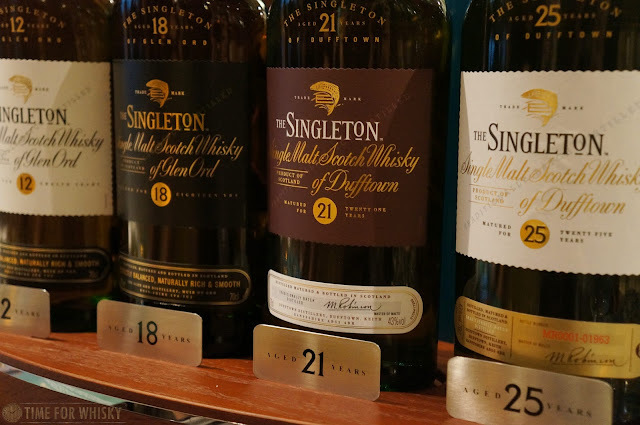 For example, we've known for a while that The Singleton is popular in Asia (particularly in travel retail), but didn't know that in Taiwan (widely known as being the most significant single malt market in Asia), The Singleton enjoys the position of #1 single malt. 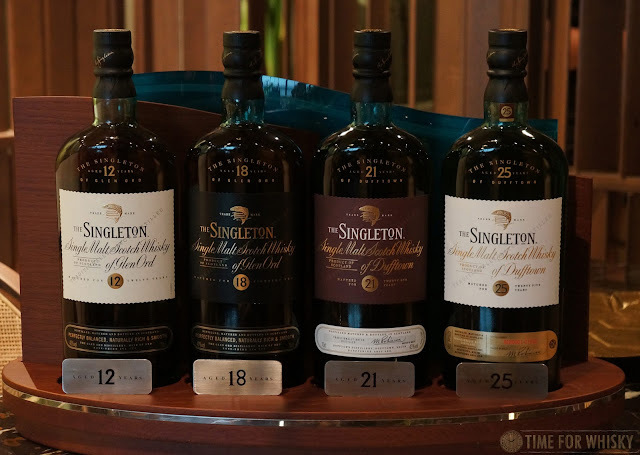 Of course, to be fair "The Singleton" is not a single distillery, but rather a brand which represents multiple distilleries' single malts. An impressive statistic nonetheless. ..and with that background, it was time to taste! Nose: Orange peel and milk chocolate. Smooth, creamy vanilla. Palate: Slightly thin at first, but rounds out soon after. Candied almonds and orange zest, with a slight earthiness. Finish: Short, earthy, with the faintest hint of smoke. Rating (on my very non-scientific scale): 89/100. An enjoyable, approachable everyday sipper. Nose: Not dissimilar to the 12, but much sweeter, with much more confectionary. Palate: Vanilla, strawberries and whipped cream. A fuller mouthfeel than the 12. Some candied orange peel. Finish: Medium length with a little more smoke than the 12.Rating (on my very non-scientific scale): 91/100. A nice step up from the 12, yet still very approachable. Palate: "Wow" was the first response. Fantastic. Sweet, rich, creamy, with a seemingly perfect ABV (and that's coming from someone who loves cask strength whiskies). Sesame, boiled lollies, some bortrytis semillon and loads of berries. Finish: Long with a hint of smoke, fruit compote and lots of red berry fruits. Rating (on my very non-scientific scale): 93/100. Very, very good. Nose: Smooth and round but with much more tropical fruit than the 21yo. Palate: Much spicier, slightly hotter. LEss stewed fruits and more tropical fruits - lots of apples, pears, passionfruit and even a hint of pineapple. Finish: Longest of the four. Rating (on my very non-scientific scale): 92/100. A great dram but given the choice, I would (and did) have another 21! 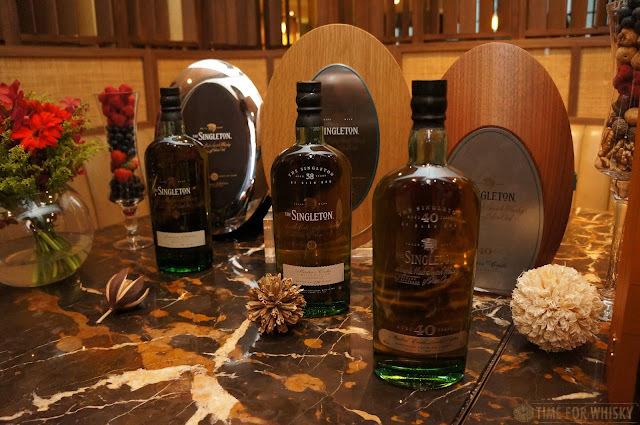 The Singleton of Dufftown 21yo and 25yo are now available at SOGO Causeway Bay B2/F Freshmart (price TBC). Until 31st May, anyone who purchases a bottle also receives a pair of Singleton Glencairn glasses. TimeforWhisky.com would like to thank MHDHK for the invite and for yet another brilliant Hong Kong launch event. We've certainly heard a lot of it since the Yamazaki Sherry Cask 2016 Edition was announced (see our initial post from January here). One bloke says he likes the 2013 version, and the world goes nuts over the follow-up release. 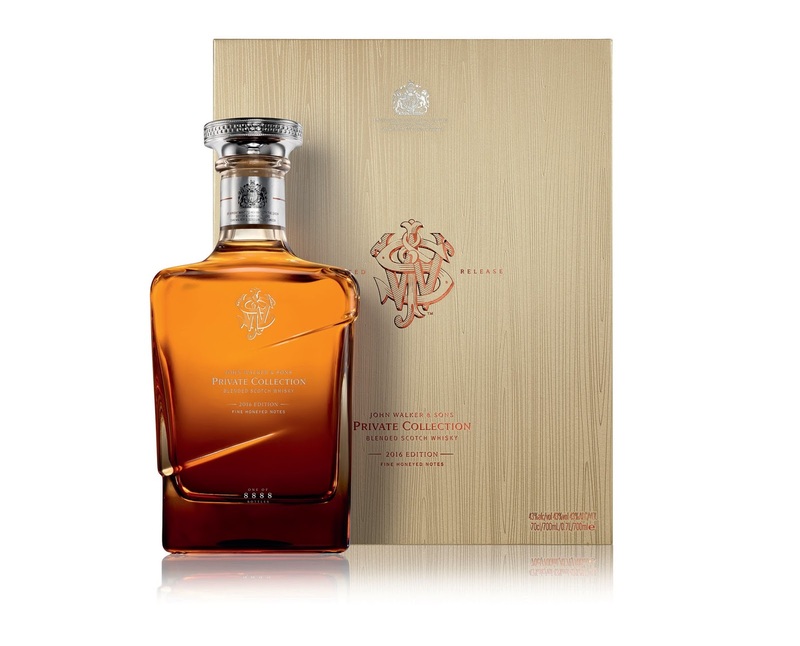 Limited to 5,000 bottles (1,500 for Japan, 3,500 for the rest of the world), we've seen retailers charging huge markups and bottles being auctioned for 5, even 10 times the recommended retail price (which was £200, $300USD and $450AUD...if you were lucky enough to find one at retail). So, with all this hype, we wanted to try it and make a call for ourselves. If the 2013 was so great, and this is basically the same juice with an additional 3 years of maturation (which we learned from Mike Miyamoto recently), perhaps it really is that amazing? Perhaps the hype is justified...? Colour: Deep, deep brown-red-copper. Incredibly dark. Almost black. Easily one of the darkest whiskies we've ever tasted. 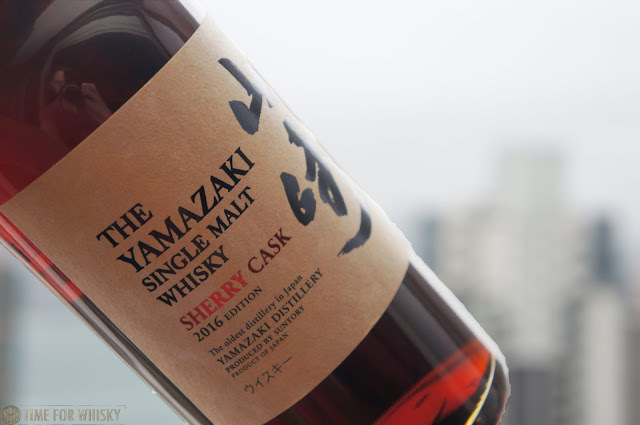 Nose: Trademark heavily-sherried Yamazaki (we've tried a few, like these ones, these ones, these ones and especially this one) - coffee, mocha, roasted brazil nuts, sherry-soaked raisins. Huge, juicy, full of cherries. Absolutely beautiful nose - one of the best in a while. A few drops of water brings a freshness and a creaminess that wasn't there without. So far so good! Palate: Drying, tannic, and oaky. Too oaky!? There's Ribena, dark chocolate, dates, sultanas. With some water - milk chocolate. There's a bit going on here, but there's an underlying theme of "oak" I just can't shake. I haven't tried the 2013, but if this is the 2013 with 3 extra years...perhaps it didn't need them? Hate to say it, but whilst it is enjoyable, it does feel a little over-oaked. Finish: Long, tannic, and quite bitter - hints of Campari! Rating (on my very non-scientific scale): 91/100. It was an absolute pleasure to get our hands on a bottle and taste this, and it's a quintessential Japanese sherry bomb...but we just can't help but feel it's had a little too long in oak. Mind you, that nose - wow, stunning.